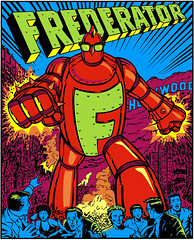 The Frederator Studios Blog: Last chance! 10 days left. Oh Yeah! George Escobar & Bob Lizaraga. Oh Yeah! Joe Bevilacqua & Lorie Kellog. Oh Yeah! Raul Aguirre & Bill Ho. That's right, last chance. There are 10 days left to enter and get the $10,000 first prize. 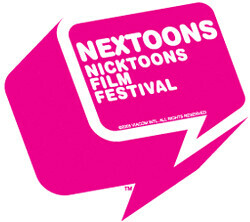 June 17, 2005, will be the last day we're is accepting submissions for the second annual Nextoons: Nicktoons Film Festival. Last year, Frederator Studios proudly started The Nicktoons Film Festival. We had literally hundreds of submissions from all around the world, selected almost 100 for the actual festival, and screened six hours of cartoons for an audiences of millions across America on the Nicktoons digital animation channel. We had two incredible winning films: Timmy's Lessons in Nature, by Mark Simon and Travis Blaise; and Welcome to My Life, by Elizabeth Ito. It's amazing to me, after 25 years of looking at literally tens of thousands of films, to see the great quality of expression that continues to come in to our offices every day. Nextoons is really becoming one of the most interesting venues for recent animated pictures. My fellow festival directors, Eric Homan and Rita Street, and our colleagues at the wonderful Nicktoons channel, are waiting with baited breath for your new cartoons.